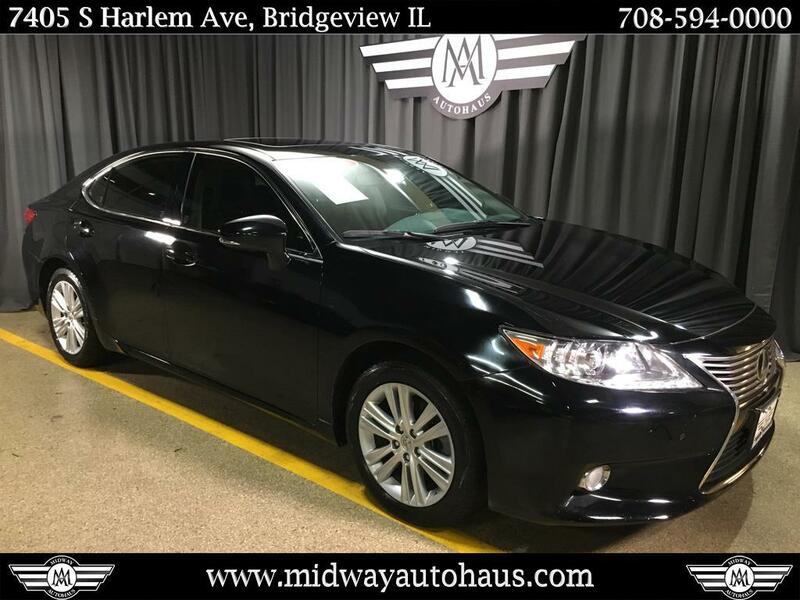 ONLY 43K MILES | Balance of Factory Warranty Remaining1-Owner| Off-Lease Vehicle | Navigation | Panoramic Sunroof | Heated & Cooled Seats |Huge Savings; Priced $1700 BELOW Kelly Blue Book Suggested Retail Price! 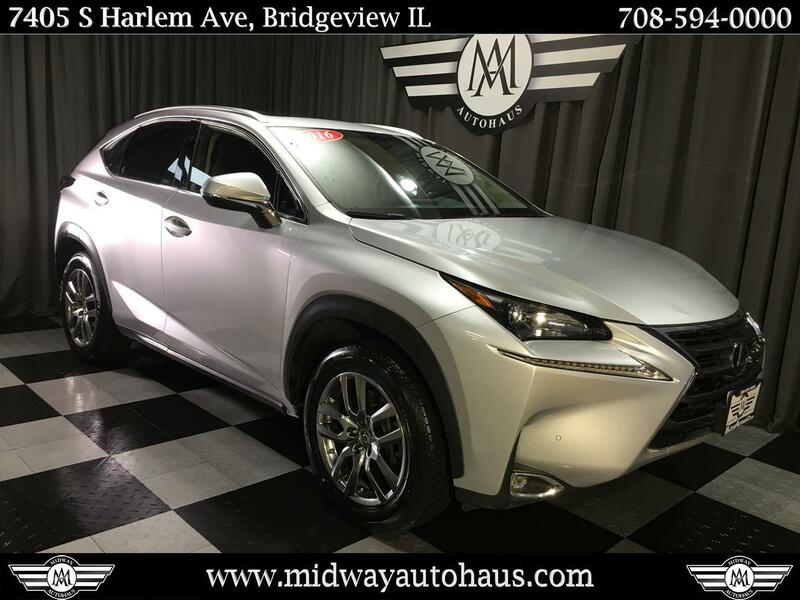 Immerse yourself in this 2016 Lexus NX 200t in a beautiful silver color. The 2.0 liter turbocharged 4 Cylinder engine provides excellent performance with an exhilarating 235-horsepower and 258 pound feet of torque! The All Wheel Drive system combines with this engine to provide a smooth yet powerful ride for safe passing in all weather conditions. The 15.9 gallon tank provides a range of up to 440 miles on the highway. With its’ aggressive new styling 17 inch alloy wheels LED lights dual exhaust and oversized moon roof you are sure to leave other drivers feeling breathless. Available Eco Normal and Sport modes allow the driver to choose their level of performance.Find even more dazzling features inside this 2016 Lexus NX. You’ll notice the luxury leather seats modern digital cockpit and a sleek infotainment screen within the center console. Listen to your favorite hits by linking up your Bluetooth device to the built-in 8-speaker system. Built in navigation will make sure you get to your destination on time! Just push to start and you’re ready to drive! The luxury leather upholstery is carried throughout the interior with a leather-trimmed steering wheel and dashboard. Rear passengers enjoy abundant legroom in this generously comfy 5-seater. Dual zone climate control heated and ventilated front seats will keep you comfortable no matter the weather conditions. Safety Connect Emergency SOS brake hold and the electric parking brake are just a few of the features keeping you safe in this compact SUV. No compromises were made by Lexus when it comes to safety. 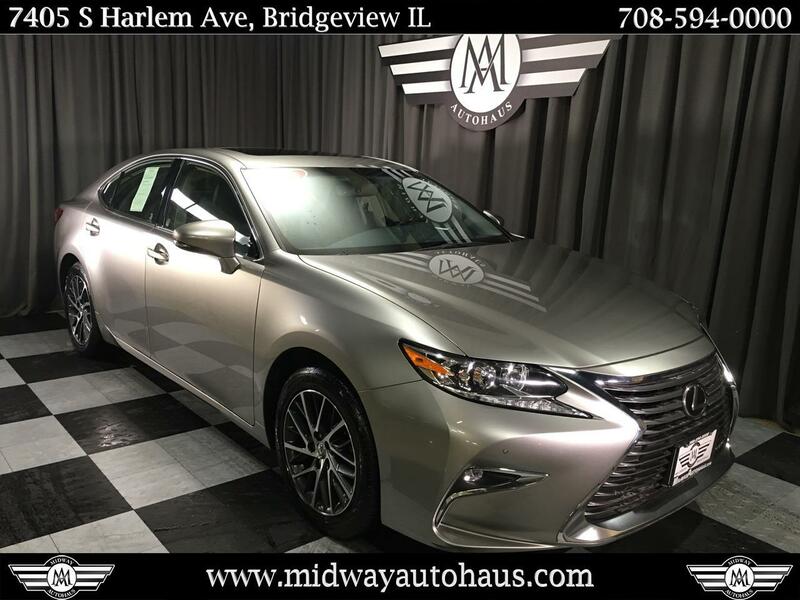 This 2016 NX comes with standard anti lock brakes traction and stability control full-length side curtain airbags front side airbags a driver knee airbag and a front passenger cushion airbag that prevents occupants from slipping under the seat belt and off the seat. A rear view camera assists you in tight parking situations. 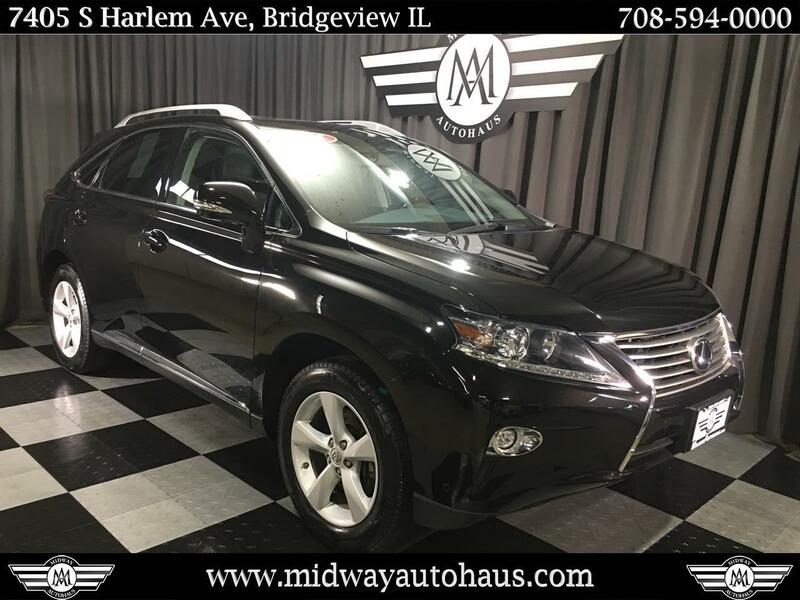 Come in an experience this amazing SUV for yourself schedule your test drive today by calling (708)-594-0000!DETAILED HISTORY REPORTS AVAILABLE | GREAT MAINTENANCE HISTORY | INSPECTED BY LIVE THIRD PARTY INSPECTION COMPANY | (TRUE360 - $199 VALUE FOR FREE) | RECEIVED SCORE OF 88/100 | ONLY PREVIOUS DAMAGE IDENTIFIED | FREE CARFAX REPORT | ALL REPORTS AVAILABLE ONLINE | WE ARE PROUD TO BE THE MIDWEST'S #1 PRE-OWNED CAR DESTINATION! Shop hundreds of pre-owned cars trucks and SUVs - All priced well below retail! Midway Autohaus offers FREE history reports including CARFAX & True360! Extended Warranties Available for purchase!Apply for financing online or come in to browse our inventory in person!Our sales team speaks English Spanish Polish Russian Lithuanian and Czech! Haggle-free pricing ensures you have a stress-free buying experience! We offer complimentary airport pickup for traveling customers and can help arrange shipping arrangements for out-of-state buyers! Contact us by phone at (708)-594-0000 with any questions or inquiries!